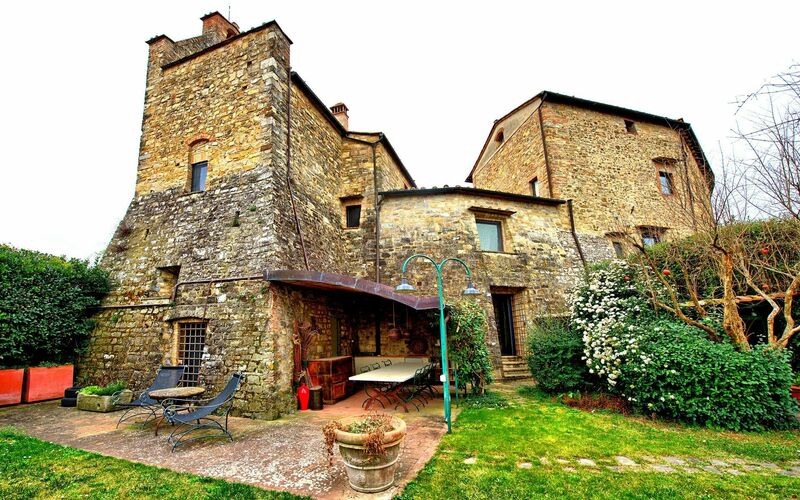 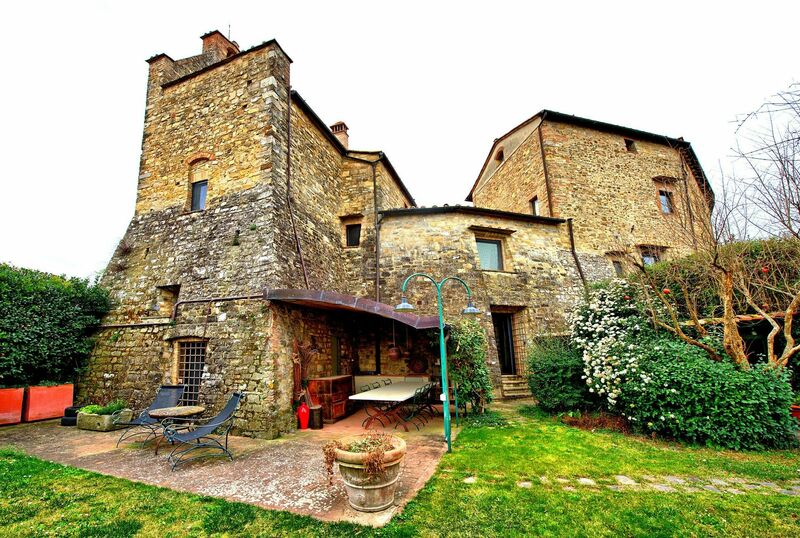 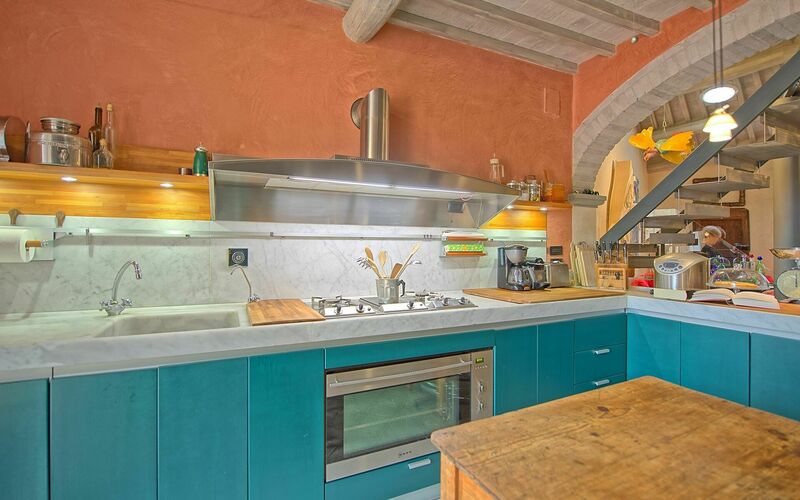 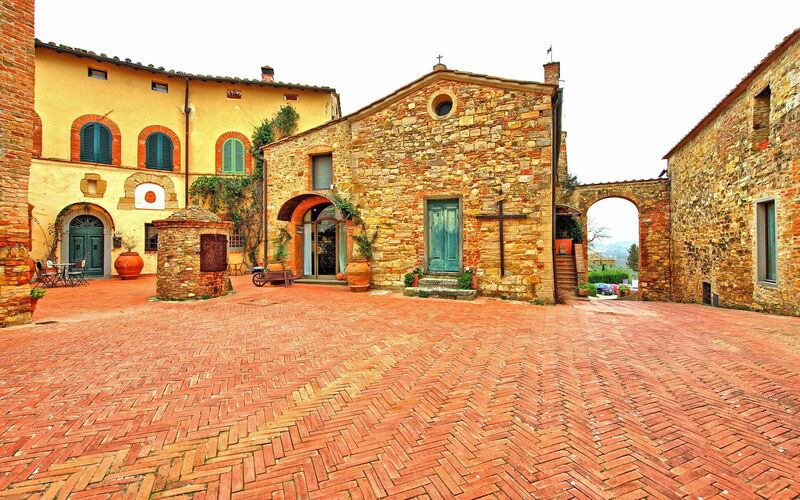 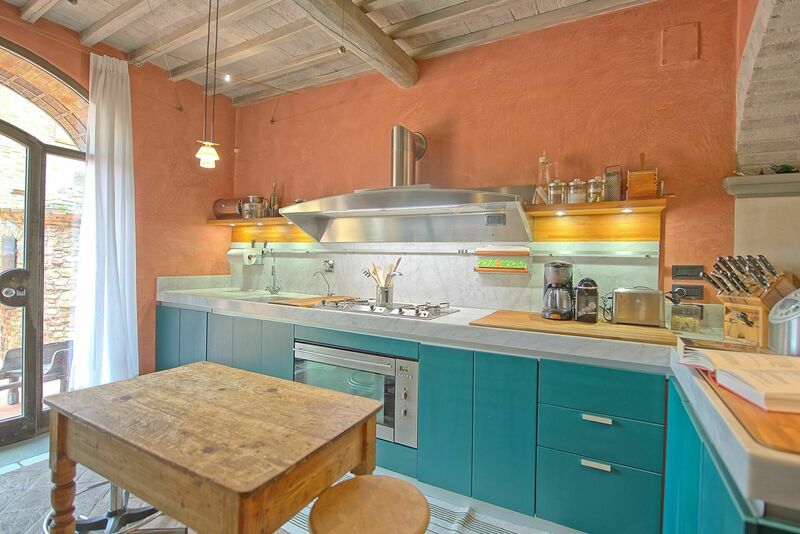 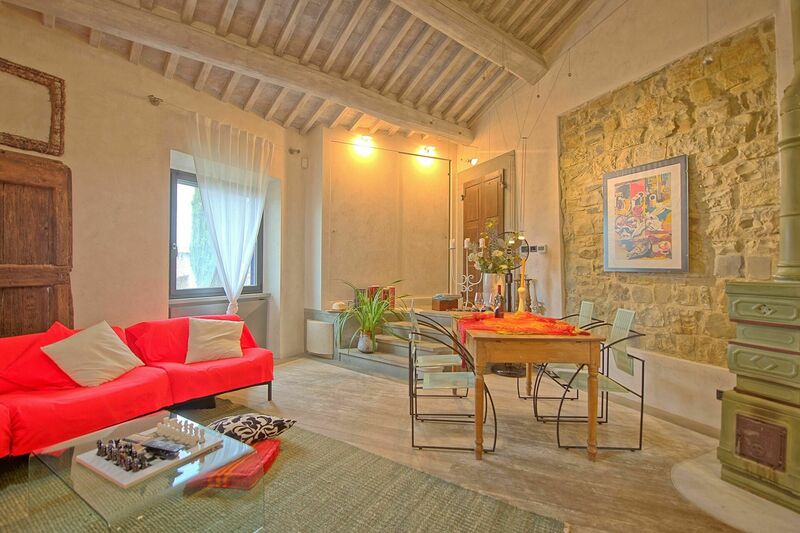 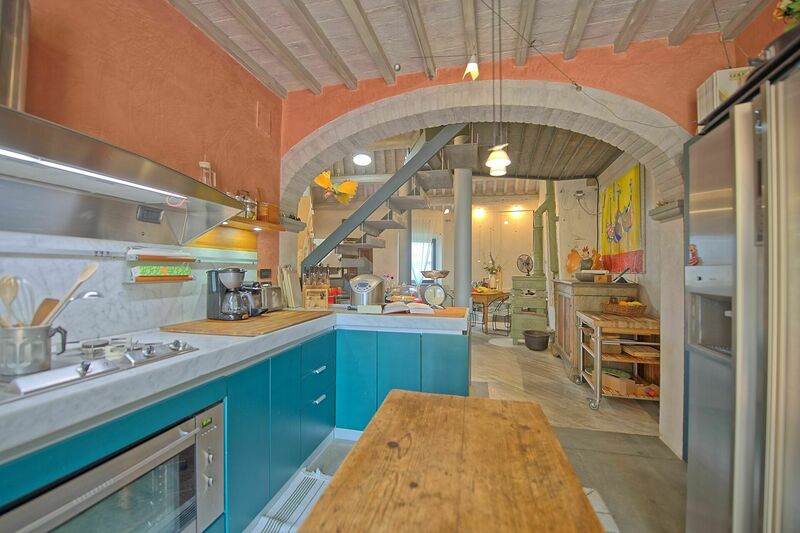 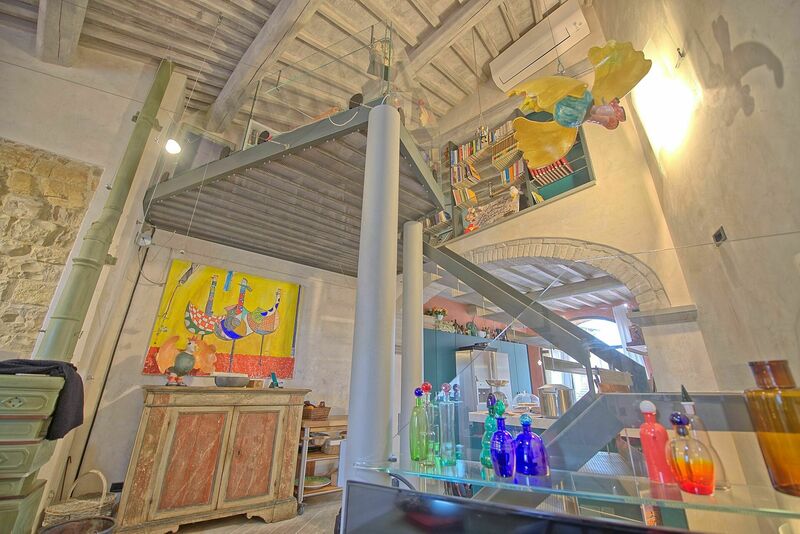 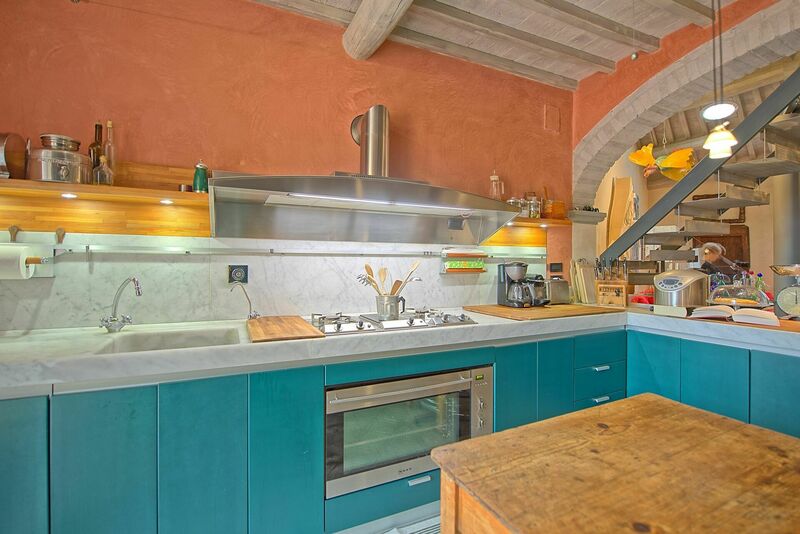 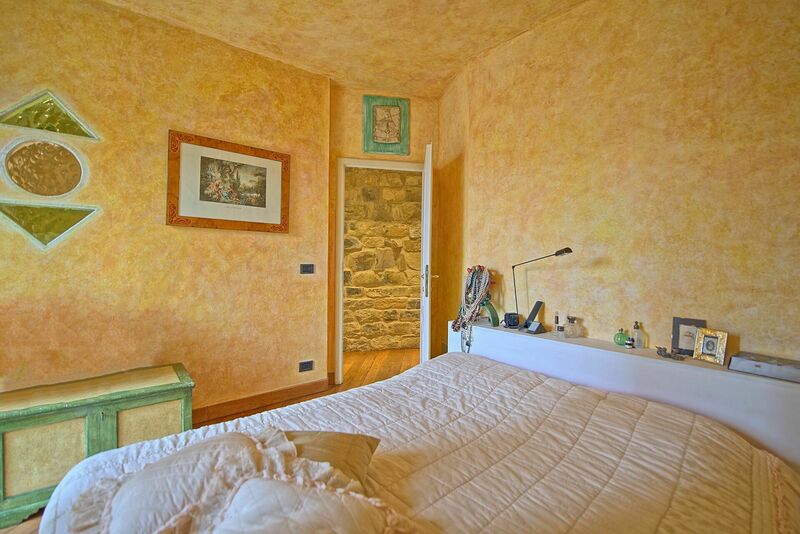 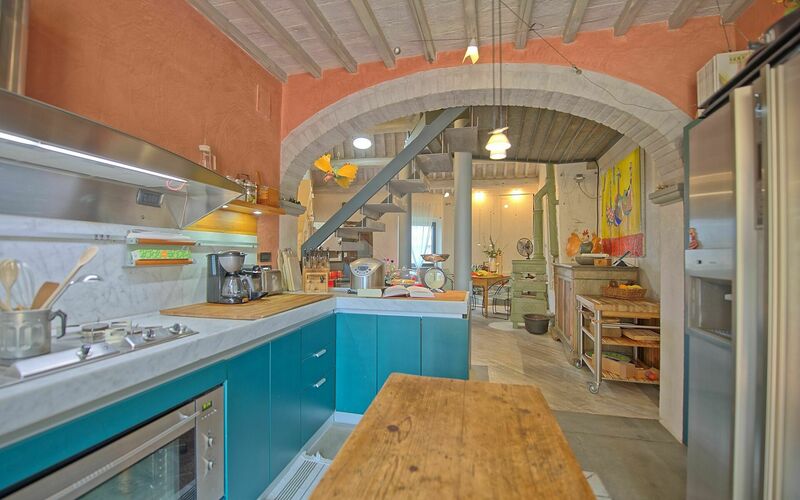 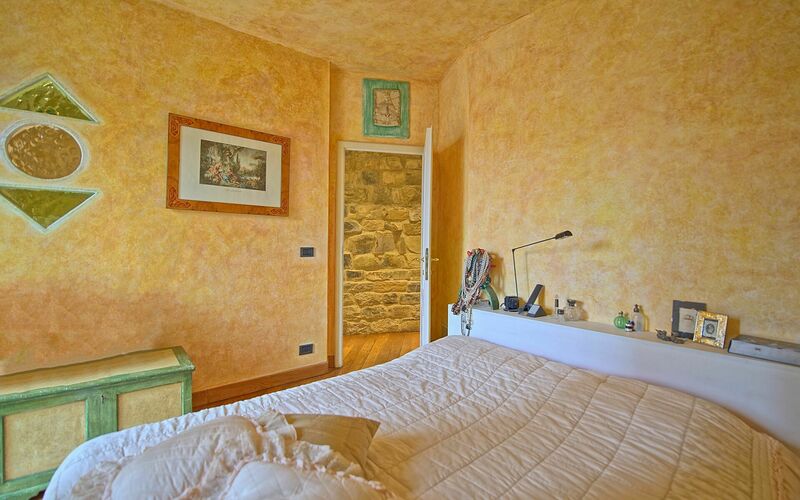 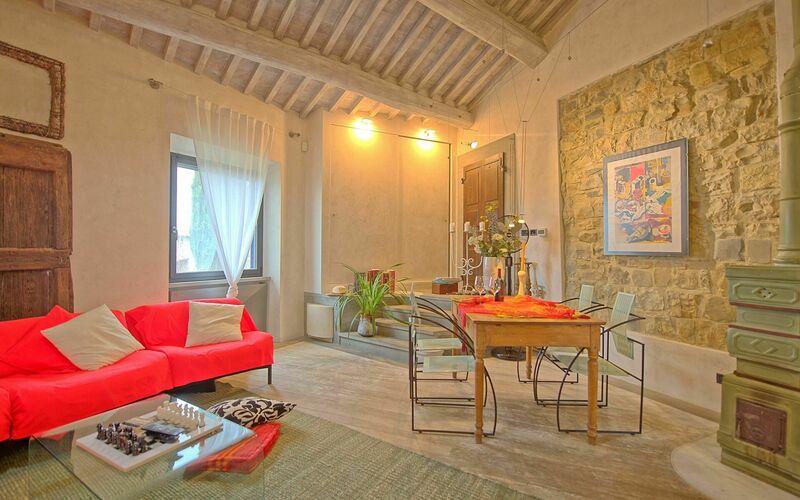 Roccaforte di Tignano is a beautiful apartment in the center of Tignano, a characteric hamlet in the Chianti hills of Tuscany. 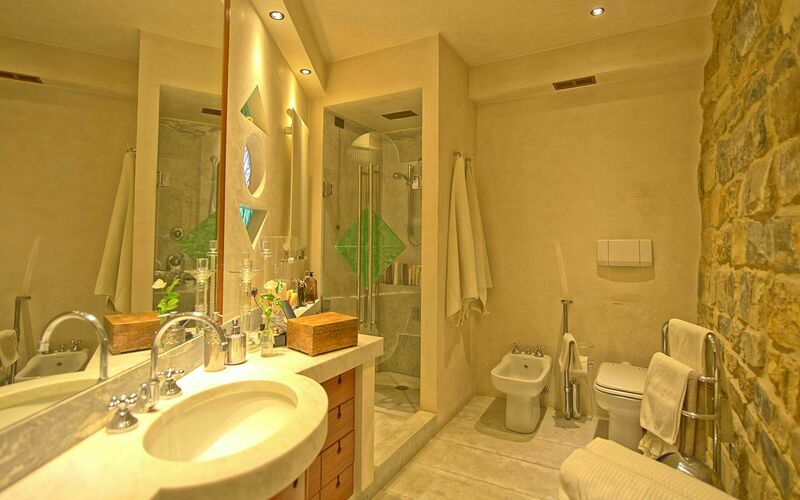 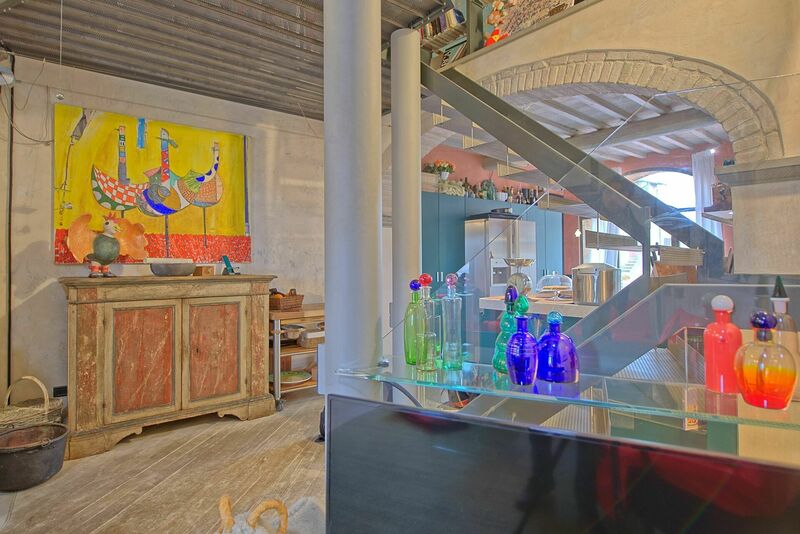 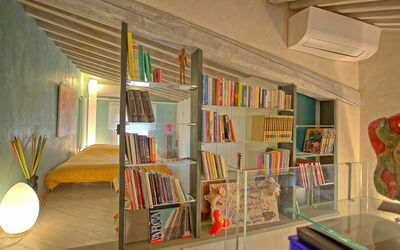 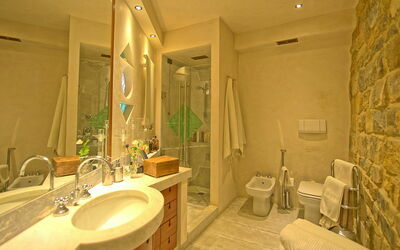 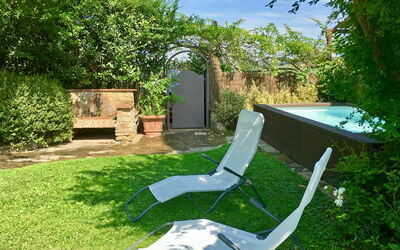 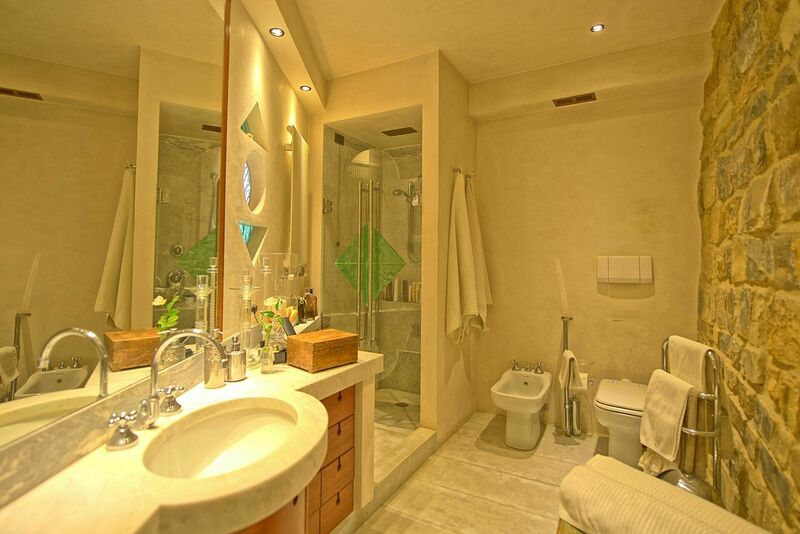 It offers all amenities and has been tastefully furnished in contemporary, modern style. 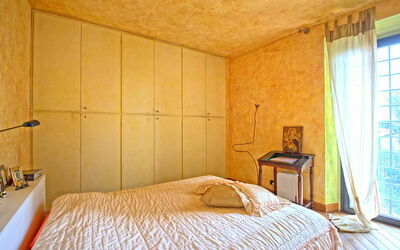 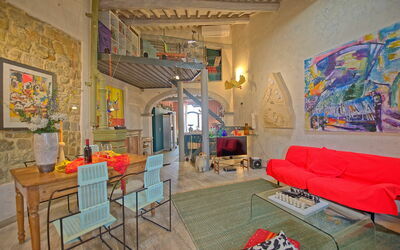 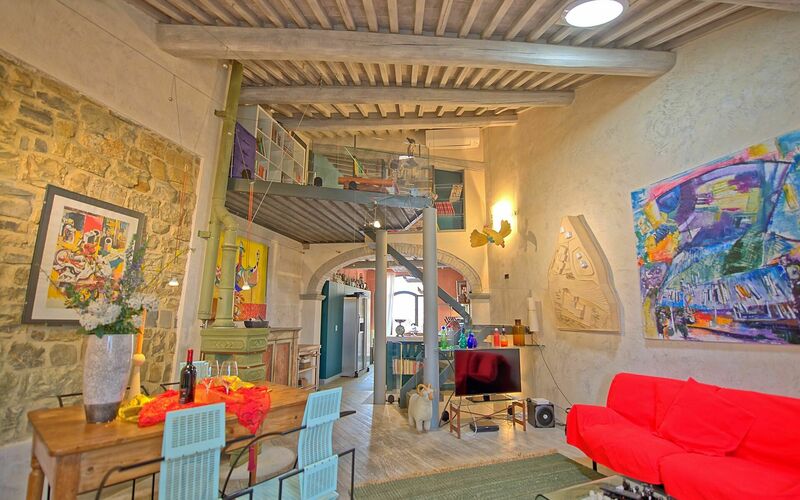 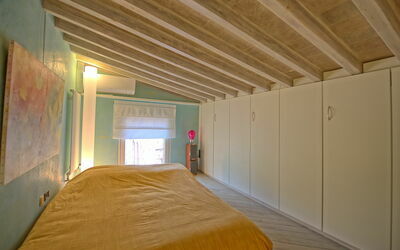 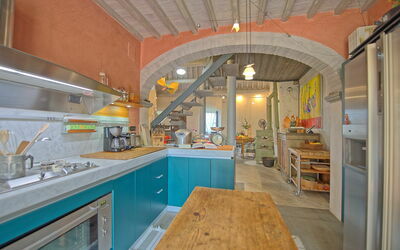 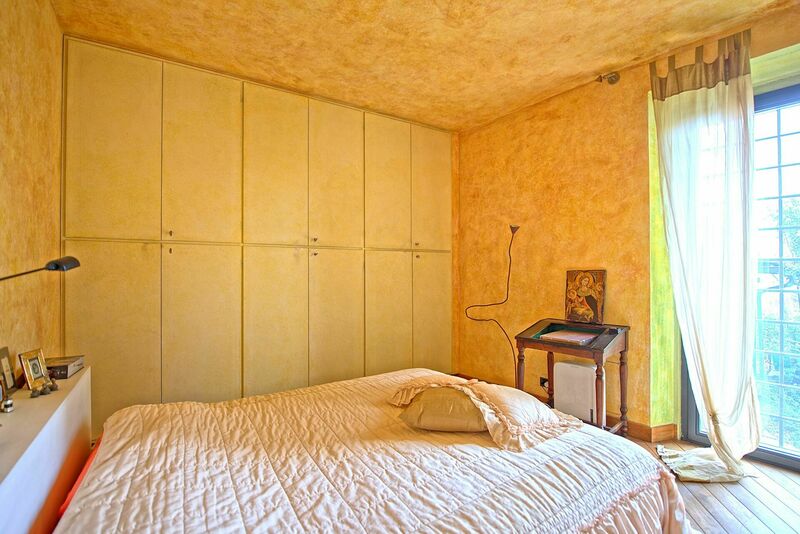 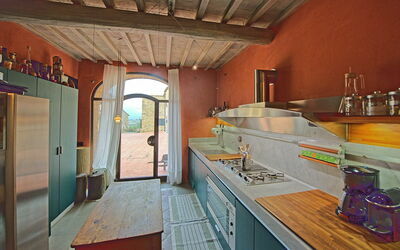 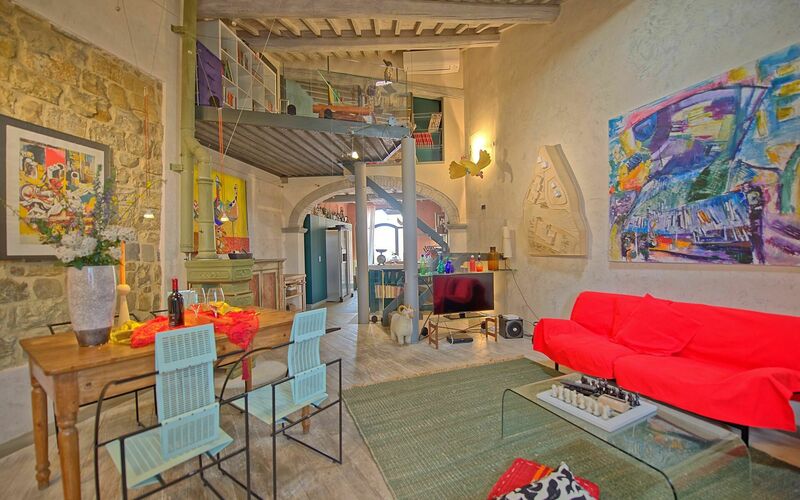 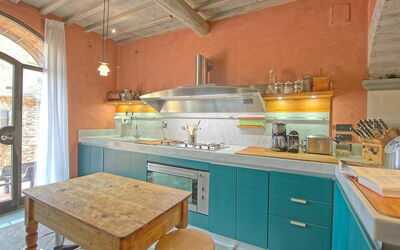 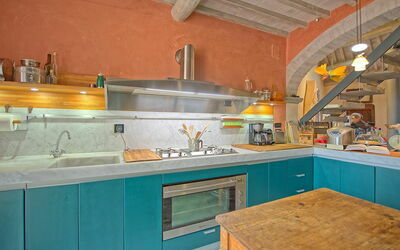 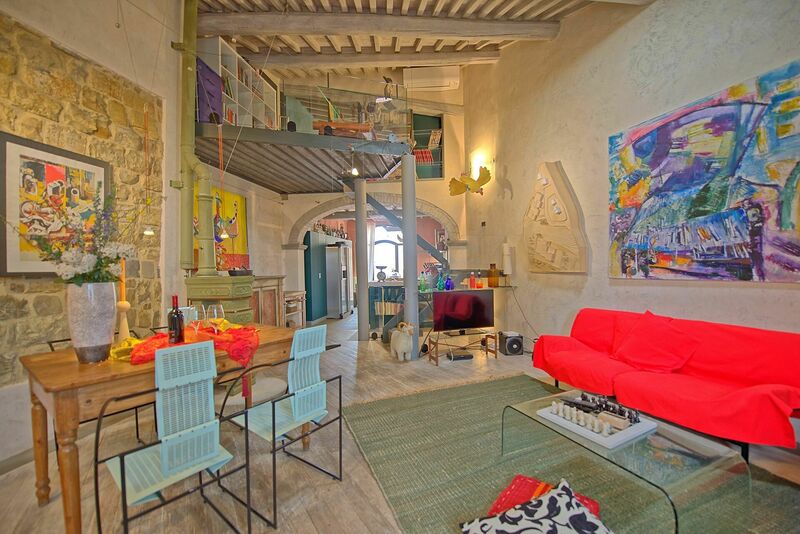 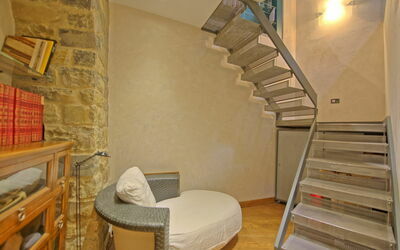 It accommodates 4 people in 2 bedrooms and welcoming, bright spaces. On one side, the house faces the hamlet’s small square; on the other there is a well-tended garden with private pool and area equipped for dining comfortably outside. In Tignano square during the summer months, festivals and concerts take place that finish by midnight. 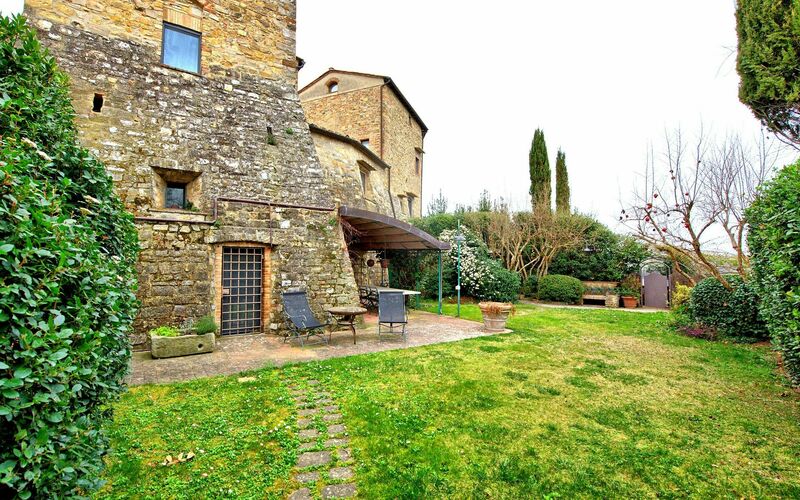 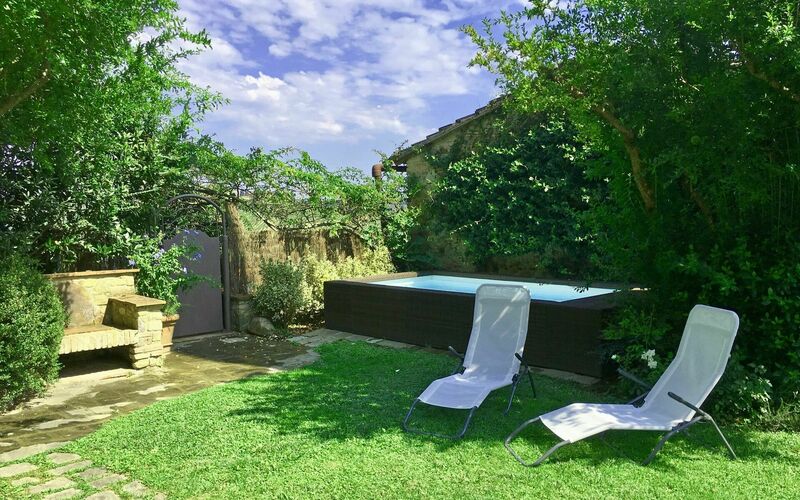 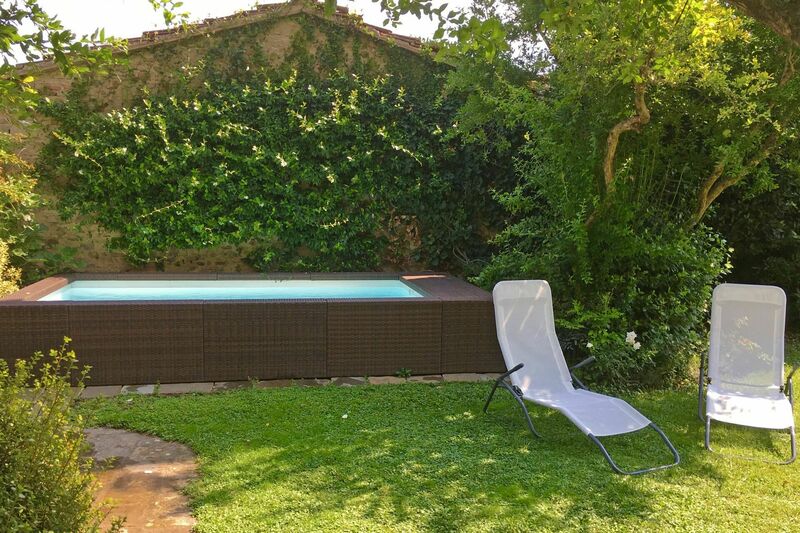 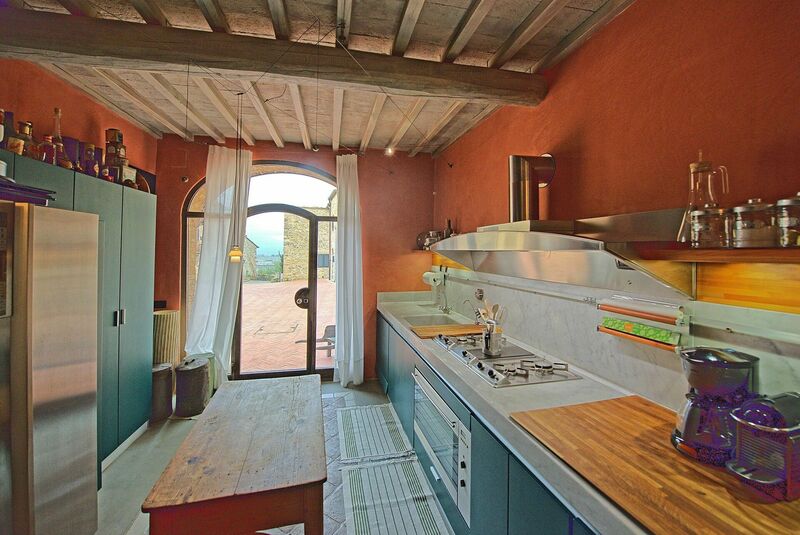 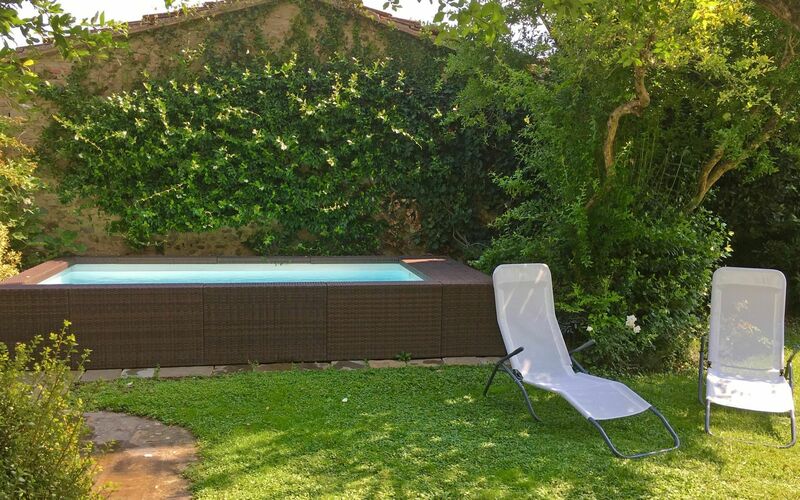 The apartment, halfway between Florence and Siena, is perfect for exploring the beautiful Chianti region, famous for its cultural, food and wine traditions. 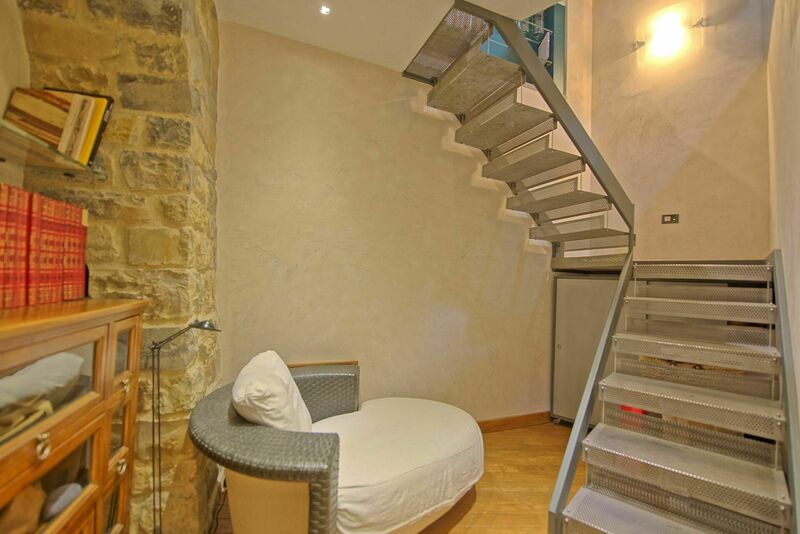 The house is not suitable for families with small children or people with motor difficulties, as it has 3 levels connected by steep stairs. At guests’ disposal: private, equipped garden; above-ground pool reserved for guests’ exclusive use ( 3,5 x 2 meters; depth: 0,70 meters); outdoor wc and shower, small outdoor kitchen corner; exterior space with washing machine (in the garden); refined, designer furnishings; public parking 100 meters from the apartment; it is possible to park briefly in the piazza in front of the entrance to unload/load baggage. Distances: Tavarnelle Val di Pesa (shops of all kinds) 3 km, Barberino Val d'Elsa 5 km, San Gimignano 25 km, Florence 40 km, Siena 42 km, the Chianti Classico towns (Castellina, Greve, Panzano, Gaiole) are within a radius 10 - 40 km, Montalcino 77 km, Pienza 90 km, Arezzo 95 km, Montepulciano 100 km, Cortona 115 km. 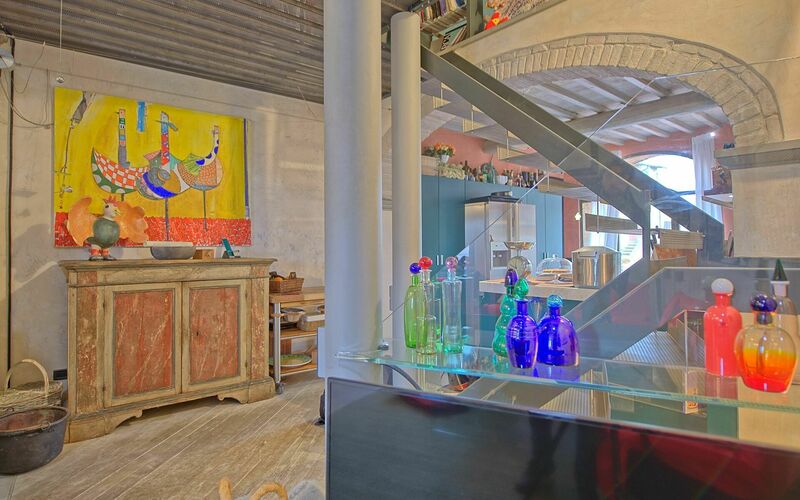 Ground floor: entrance onto living area made up of kitchen (oven, dishwasher, freezer, refrigerator with ice maker, American coffee maker, toaster, moka coffee maker, water purifying system), dining area and living room with air conditioning and Smart TV.